I love the juxtaposition of the young Spice Monkey Restaurant (2008) housed in the Howden Building (1925). Outside this Oakland Landmark, there is a dazzling array of mosaics displaying a variety of tiles. You walk into the restaurant featuring gleaming tiles on the floor, walls, steps, fireplace and the elaborate fountain. The 1920's were the golden age of tile work in the US. A local historian has been quoted as saying that this is the last tile showroom in California that has survived fairly intact. 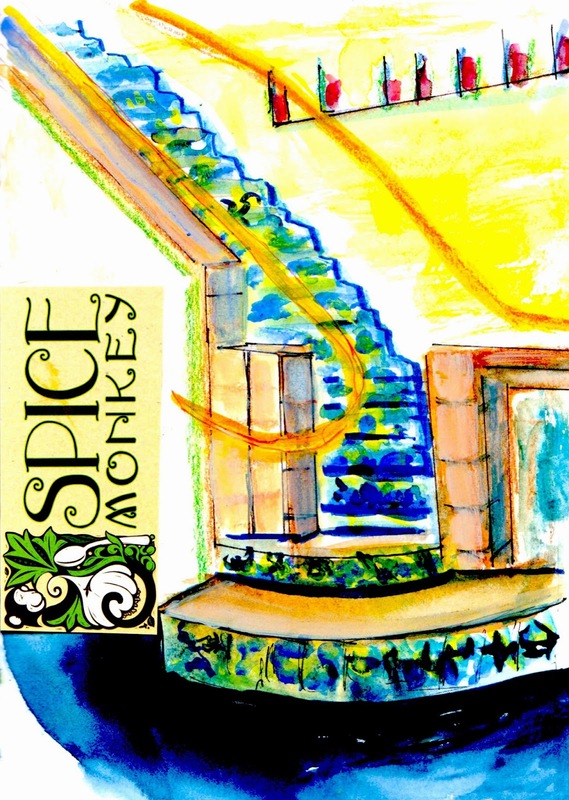 Spice Monkey owner Kanitha Matoury gave us a warm welcome and we feasted from the global menu and sketched the marvelous tiles inside and out. 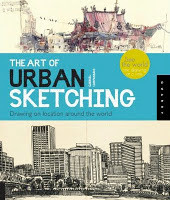 Please see fellow sketchers' posts in this blog. 'll be back to practice my tile sketching and enjoy the historic and culinary delights!